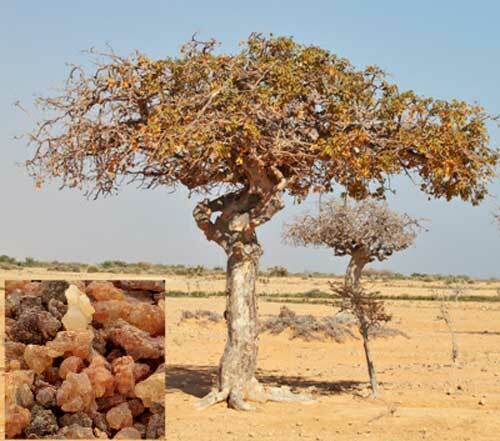 In herbal medicine we use the resin of Myrrh; a bushy tree growing in rocky terrain in old lands such as Somalia and by the Red Sea. 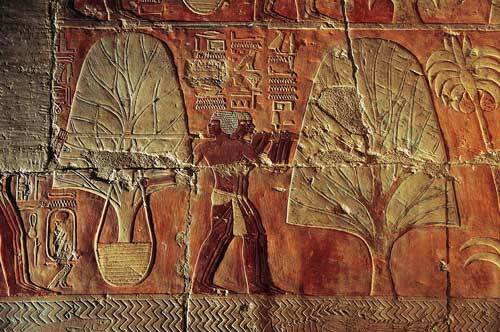 Myrrh resin is formed when a wound is made through the tree bark and into the sapwood. Over time the tree oozes out a sticky, golden yellow resin which is the part that we use in medicine. A measure of how prized Myrrh was in ancient times is how it was one of the three gifts to Jesus on his birth (Gold, Frankincense and Myrrh). There are numerous other Biblical references to Myrrh including the Song of Solomon in which 'a bundle of Myrrh is my well-beloved unto me he shall lie all night betwixt my breasts'. Ancient Greek and Roman physicians used Myrrh to treat wounds and prescribed in internally as a digestive aid and menstruation promoter. Myrrh has been extensively used in Chinese medicine as a blood moving herb with particular benefits to people with arthritis and rheumatism. In Ayurvedic medicine Myrrh is also considered one of the best agents for helping rheumatism and is also seen as having benefits to the circulatory system. In Ayurveda they see Myrrh as a tonic and aphrodisiac and it has a reputation to improving intellect. Myrrh has been used for thousands of years as an ingredient in incense and perfumes and the resin was used for embalming. Chinese researchers have identified substances in Myrrh that fight bacteria and Indian scientists have discovered that the herb has anti-inflammatory actions. The British Herbal Pharmacopoeia (BHP) describes the actions of Myrrh as 'antimicrobial, astringent, carminative, expectorant, anticatarrhal, antiseptic, vulnerary' It says it is indicated for 'apthous ulcers pharyngitis, respiratory catarrh, common cold and topically for wounds and abrasions. Specifically indicated for mouth ulcers, gingivitis and pharyngitis' The BHP recommends a dose of 1-2.5 mls of the tincture up to 3 x daily. ~ From an article called 'Gift of the Magi' published 2001 in Science Daily from the American Chemical Society 'as part of a larger search for anticancer compounds from plants, the researchers obtained extracts from the Myrrh plant and tested it against a human breast tumour cell line (MCF-7) known to be resistant to anticancer drugs. Research date indicated that the extract killed off all of the cancer cells in laboratory dishes'. ~ The ability of Myrrh to reduce pain has been explored by researchers at the University of Florence who have shown that ingredients within Myrrh affect opioid receptors in the brain that reduce pain perception. Myrrh is generally regarded as very safe to use by both the young and old and during breast-feeding. Small doses, such as used in the throat formula as shown below, are sure to be safe in pregnancy but large amounts should be avoided (i.e. more than 5 mls of Myrrh tincture in a day). A small percentage of people get a contact allergy from Myrrh (mostly from its essential oils) so if using externally and a red rash forms soon after using it then it should be discontinued and an alternative treatment sought. Myrrh is a potent, strong tasting and fast-acting herb, especially in tincture form which is how we usually use it. 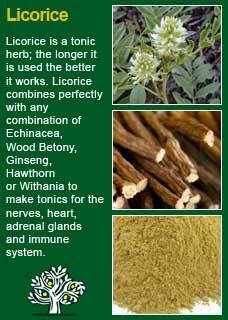 I think it should not be taken straight but rather well diluted in water or mixed in with a herb like Licorice root to soften its entry into the body! 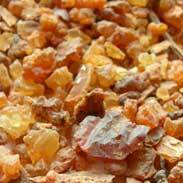 The taste and smell of Myrrh is evocative and its flavour is extremely aromatic and distinctive. If you who are reading this are studying herbal medicine then you should definitely take a little Myrrh and swill it around your mouth - I think the personal experience of it will give you a deeper appreciation of how this herb eats bacteria for breakfast than any amount of academic papers on the subject. Myrrh is intensely antimicrobial and I have seen it deal to stubborn infections that no other drugs were able to reach on numerous occasions. Powdered Myrrh could be dissolved into water but I think it is a herb that is best used in tincture form. We, and others, extract it in 90% ethanol and just a ml or two seems ample to achieve its internal benefits in the mouth, throat, gut and immune system. Myrrh combines powerfully with Gentian for when there is an infection in the digestive tract that is proving difficult to shift. It also works remarkably well with Echinacea and Golden Seal to make a powerful herbal antibiotic for throat infections or for wounds that need cleansing or healing. To rapidly resolve a throat infection and stop it going any further into the chest, the following formula has been seen to be effective for a great many people. *Only use cultivated (not wild-crafted) Golden Seal or alternatively use Sage, Kava or Calendula. Dose: between 1-4 mls, as often as required, usually slightly diluted. The right way to take this formula is very important. To rapidly cure your infection you have to get the herbs to coat the back of the throat as much as possible and this requires some technique and training! If it is for a young child, the best approach may be to simply put the mixture in a dilute form into a spray bottle of some kind. Tell them to 'open wide' and give a few quick sprays to the back of their throats. It will be weird at first, but once they feel the mixture giving them some, more or less, instant relief, they should be easy to encourage to take it more, or even do it themselves. How much you dilute the mixture is important, too much and it will be weaker than ideal, too little and it may be too strong for them to tolerate. I suggest starting with about half and half formula to water, and then go from there. For an older child or an adult, the best way to get the most effective treatment is with gargling. You must start with the right amount of liquid to do a successful gargle and you will need to do some experimentation to see exactly what works best for you. Too much liquid is just as unhelpful as too little. Some people will find that they do best with no further dilution at all, others will need as much water as herbs, i.e. about 4 mls water added to the 4 mls of formula. Many people find that about 2 or 3 mls is about right for them, try and see for yourself. If you want the best results, commit to a long and fully engaged gargle! Tilt your head back and let the herbs (and water) swish around the back of your throat by making that classic gargle sound. Ideally you want the medicine to be in contact with your throat for a good 20 seconds, which is a lot longer than it sounds. Most people will find it hard to gargle for that long without a pause so you may need to drop your head forward for a moment, try not to swallow yet if you have to take a pause before you have done your 20 seconds or so. As soon as you ready, tilt your head back again and continue on. You must make some noise to do a good gargle and you are best to move the 'pitch' of your voice up and down to get the medicine touching all the parts of the back of your throat that it needs to get to. 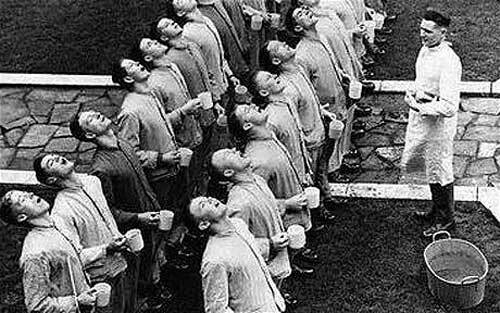 Yes, this will sound weird, but it beats the torture of a sore throat and you must not stop, even if you have an audience and they don't appreciate your efforts as much as they should. 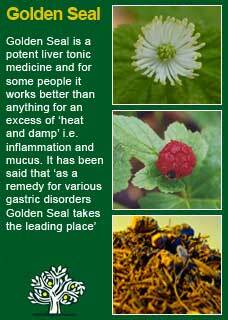 If possible, you should swallow the herbs after you have gargled them. 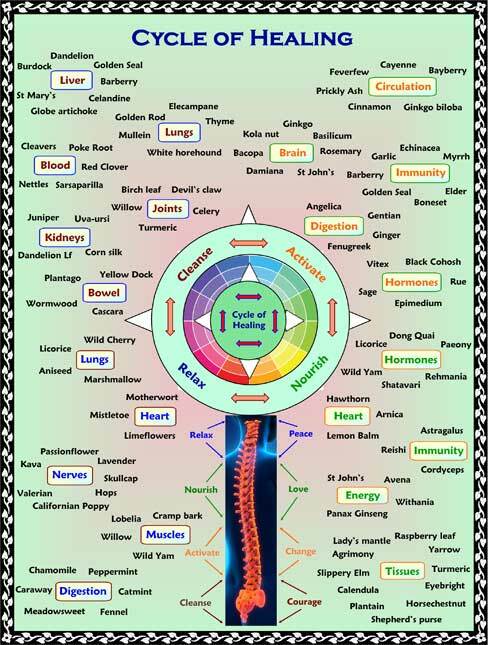 The reason for this is, as well as the antimicrobial action that you get from putting these herbs in direct contact with your throat, you will also get significant benefits to your immune system from taking them internally. If you have a lot of debris, mucus etc. from the infection then you may simply have to spit everything out when you've done the gargle. that's ok but In this case, take another dose of formula as soon as you can and try to swallow this next one after getting it into contact with the affected areas. This treatment can be repeated very frequently when needed. Listen to your body and to your symptoms. The medicine should make your throat feel at least somewhat better right away, don't hesitate to repeat the dose if it starts feeling worse again. Most people feel at least some benefit from the very first dose and, started early enough, you should be able to nip most infections in the bud before they get a chance to get established. However, if you have been sick for a while then you may need to frequently repeat the treatment to get well. Ideally, the sooner you start treatment the better. People who tend towards recurrent infections involving their throats should have this formula ready and waiting to use as soon as they need it. This formula is entirely safe for children to use. I would give a child below 5 about 1 or 2 mls per dose, 3 mls up to ages 8 or 9 and then adult doses from 10 years old. If they are too young to gargle, just spray it in there! Myrrh can be extraordinarily helpful for wounds that are not healing due to infection or when a natural antibiotic wash is needed to prevent infection and speed the natural healing process. 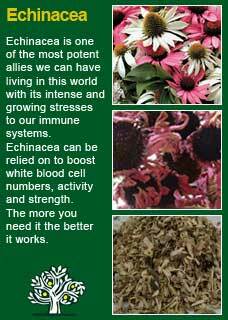 Again it combines exceptionally well with Echinacea and Golden Seal for this purpose. Use a cotton-tip or any piece of cloth or gauze to paint a small amount of the wash on to the infected area. 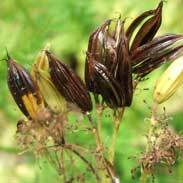 Golden Seal is also very potent but it will stain skin yellow so you might prefer to leave it out if the area to be treated would be embarrassingly visible. Use carefully as these are strong substances and over-use will cause damage to delicate tissues; you would get plenty of warning signs that you were over-doing it by increasing redness in the non-affected areas that are getting some of the wash on them. Generally, between 2-3 times a day will be enough for most sores or wounds. The treatment should be rapidly effective. 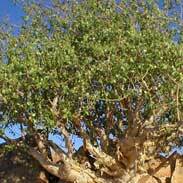 Much of the information here about the traditional uses of Myrrh is consistent with the model of thinking whereby one may treat problem A with plant B. There is value in this approach, especially in how it helps us pass on useful knowledge to one another, but it falls short in one vital area; and that is that people are not all cut from the same cloth! Something that works brilliantly for one person may do less for another -- why is this?